I'm very picky when it comes to make-up palettes. It takes one wrong color in the entire palette to put me off entirely (yes, that picky!). 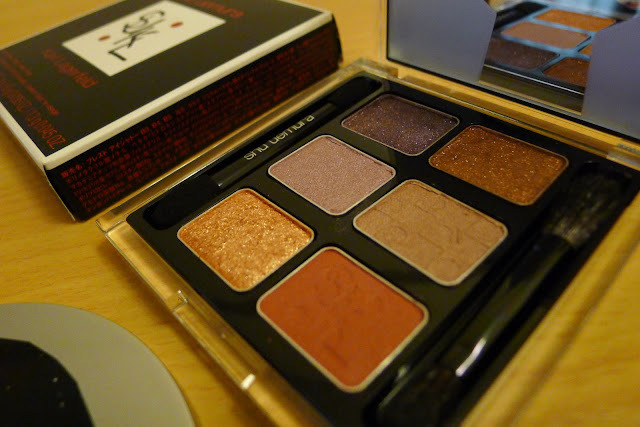 There is one palette however that I am loving most recently - Karl Lagerfeld for Shu Uemura's Prestigious Bordeaux eye and cheek palette with its wine and bronze tones. I personally love the smokey eye look, and the highly pigmented glitter wine and deep brown shades (at the top of the palette) are just perfect for a new smokey eye look for 2013. The palette also includes a pale purple shade and a soft brown shade (that can be used as a base shade) and a brick gold eye shadow as well! 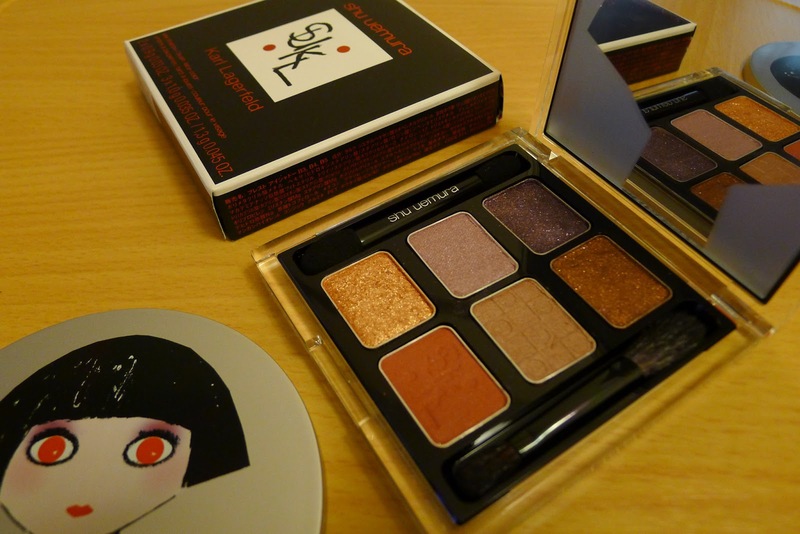 There is also a coral rose blush shade in the palette (it's the one where "SUKL" is stamped). It may be a bit of challenge to pick up with a fluffy brush though since it's in a tiny pan. But overall, I love it! 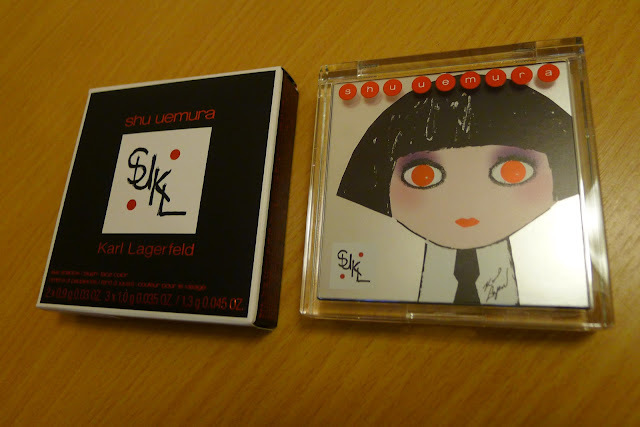 You'll find Karl Lagerfeld for Shu Uemura's Prestigious Bordeaux eye and cheek palette at Shu Uemura ateliers in Manila. 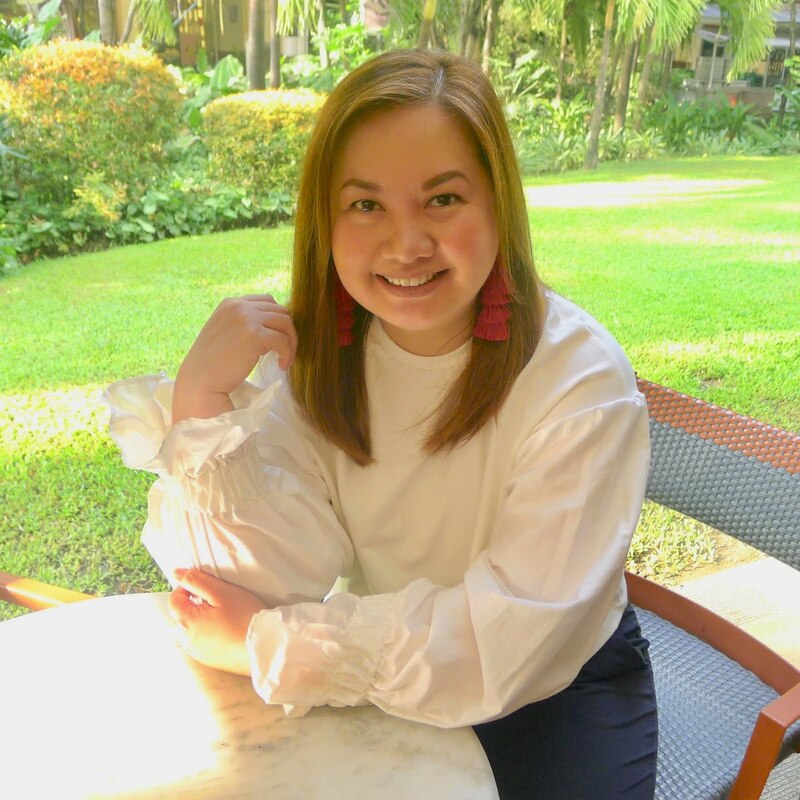 For Shu Uemura Philippines' Facebook page, click here.